These are only a small selection of all the gem designs I have in my library. If you are looking for something in particular please contact me and I will assist you in finding the right design. An eye catching design featuring a five pointed star on the pavilion. This cuts a very bold and unique gemstone. 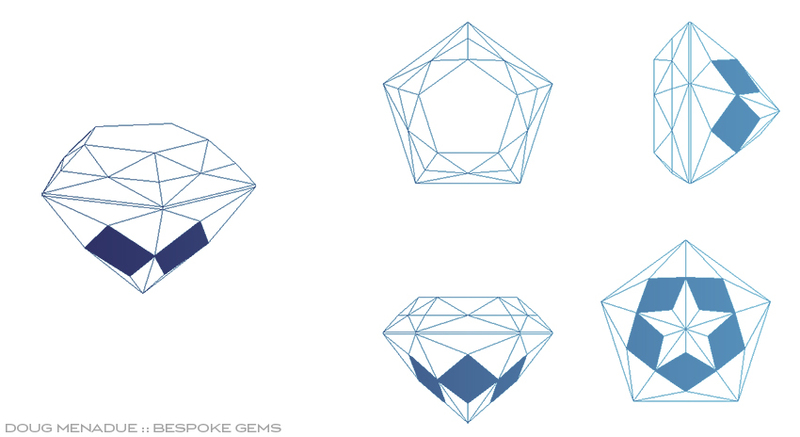 See a gem cut in this design here. A classic five pointed star design... looks amazing!